The O'Neill's were the last great defenders of the Gaelic tradition in Ireland and is one of the oldest surnames in Europe dating from 950's AD. However, the clan predates this by many hundreds if not thousands of years. Since the Flight of the Earls in 1607, O'Neill's have been disbursed within Ireland and all over the world on many occasions. 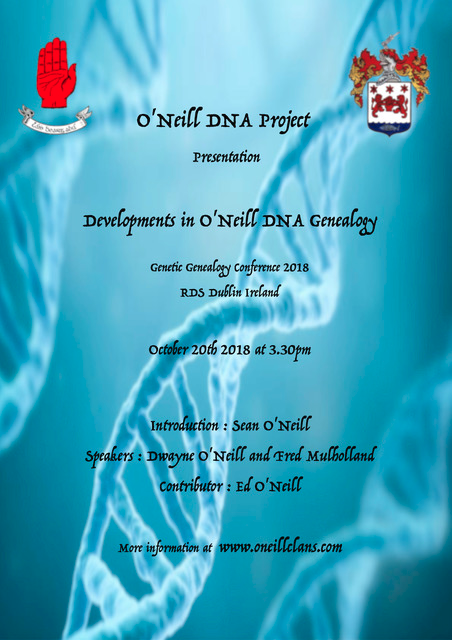 The O'Neill DNA project has taken the known genealogy of this ancient and royal family and is successfully matching DNA to the various branches and septs of the family including the Tyrone, Clanaboy and Fews O'Neill's. 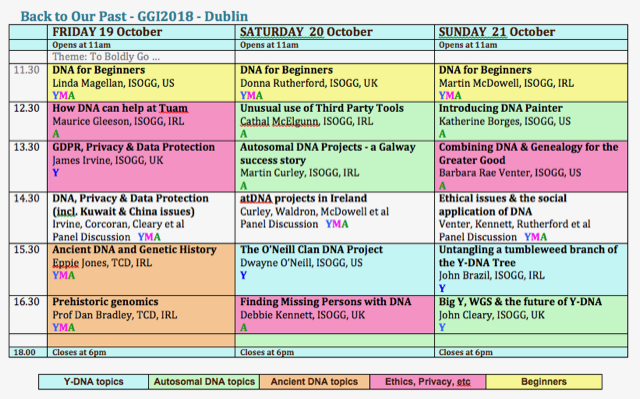 The presentation will tie in the latest Y STR and SNP DNA test results from the FT DNA O'Neill Surname Project to the main O'Neill lines and septs.